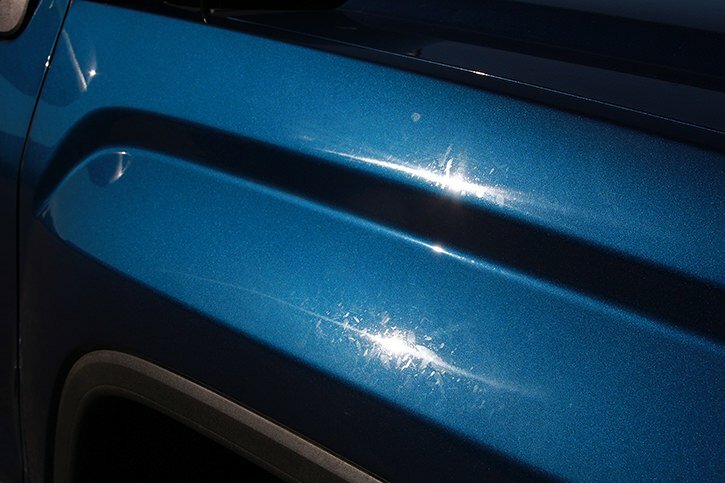 Paint Correction on a 2015 GMC. 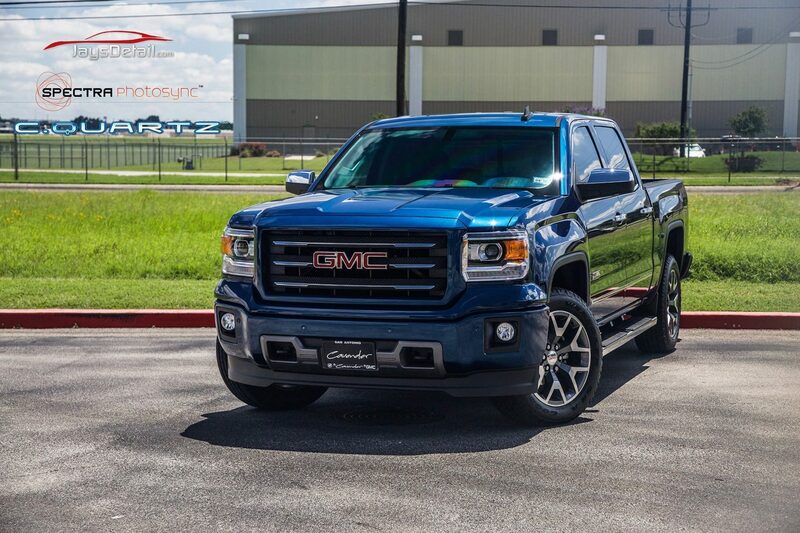 A good buddy of mine just bought a brand new 2015 GMC in Stone Blue Metallic. While during his first week of enjoyment he had a little too much fun in a mud hole putting that 4 wheel drive to some good use. 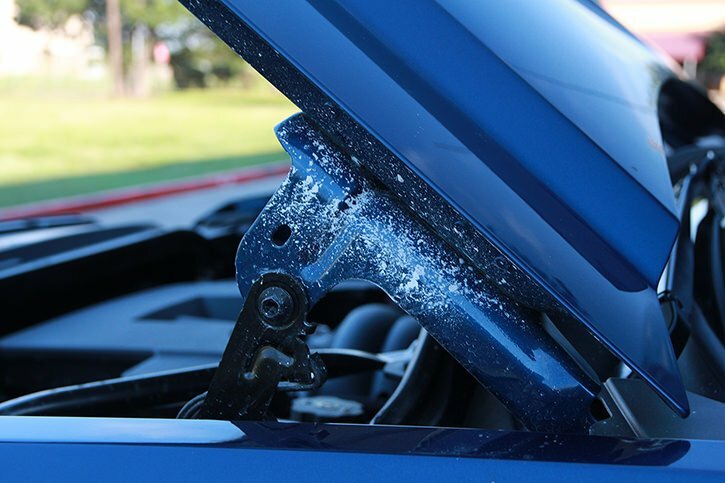 Unfortunately there must have been something in it, cause it etched the paint along the whole vehicle pretty bad. Upon closer inspection & after a wash this was the result. The make ready guy took a stab at it and managed to not remove the defects but left some swirling for me to repair as well. I didnt believe it at first until i saw this. So we started on the initial polishing step and in some sections it came out and in other places it required wet sanding. We started with the hood first. 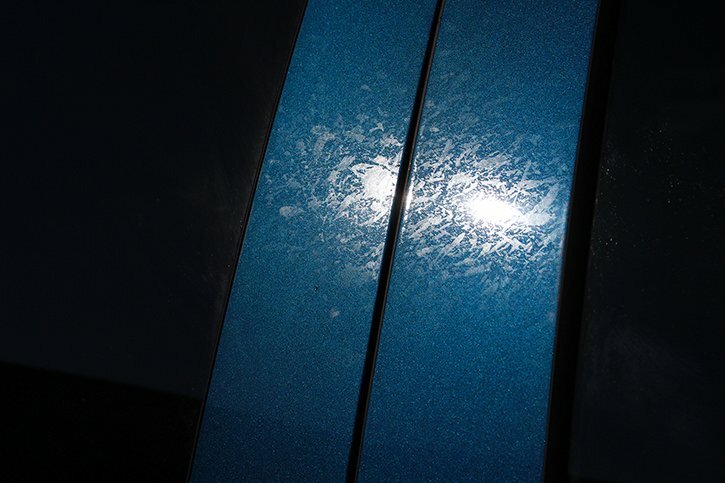 After our Paint Correction Process. 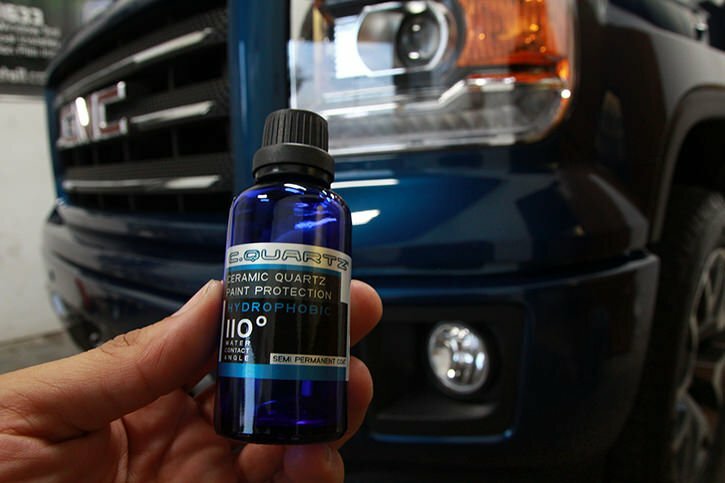 This specific process is tailored to each vehicles needs to ensure the best possible result each and every time. So our first initial process was on point. Here is that process on the doors. Whatever was on this door it wasn’t very easy to remove. But after some Finess we got it down. 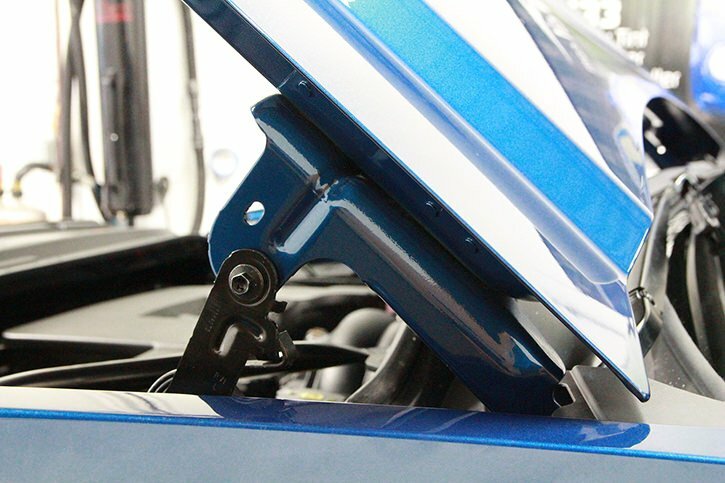 That hood latch from earlier, yea we went ahead and cleaned that up too. 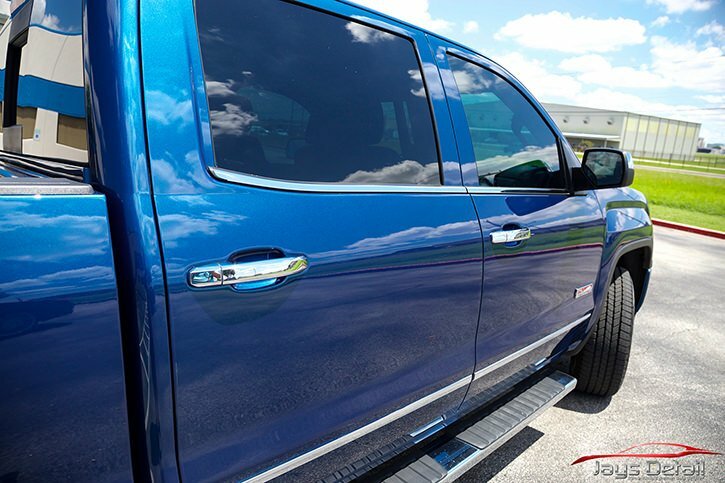 Once this GMC was finished getting polished up we threw on some tint to keep the interior of this thing cool. We applied our Exclusive Spectra PhotoSync Window film to all the windows. 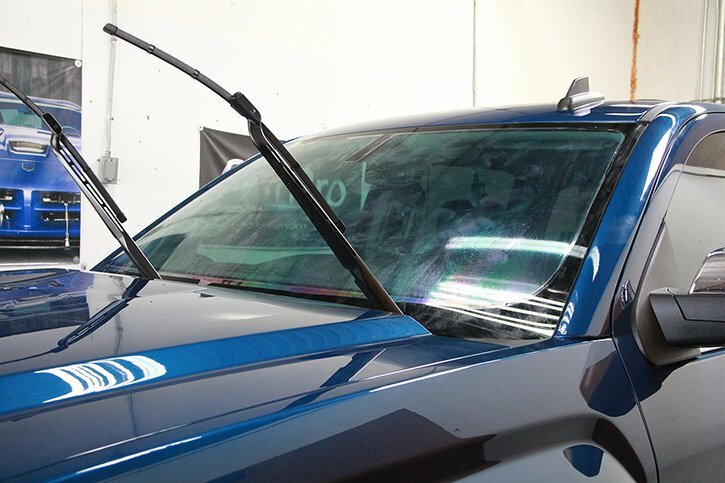 The sides and rear received 35% and the windshield got 75%. 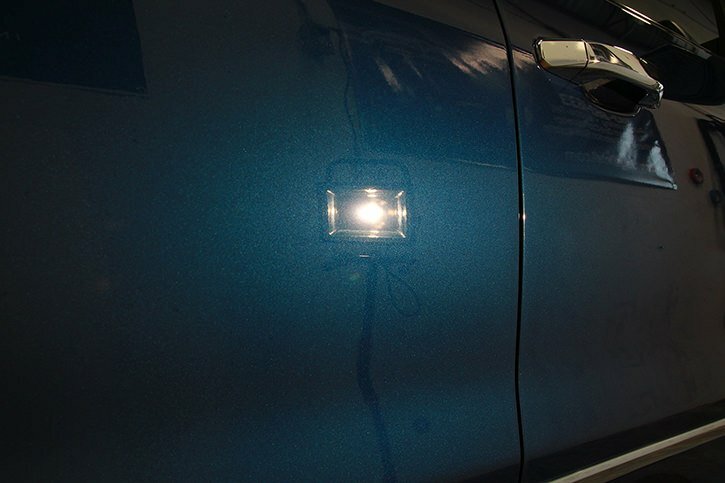 Spectra PhotoSync is a Solar Adaptive IR window film that blocks IR up to 98% which can keep cabin temperatures up to 30% cooler than the outside temperature. You can read about it HERE. 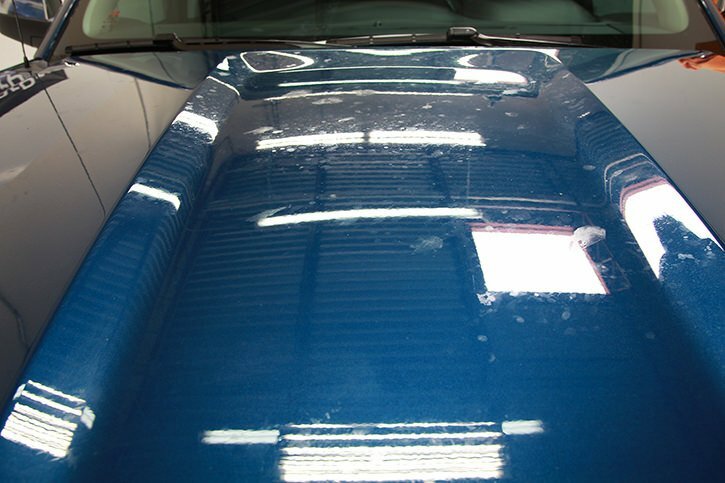 Now that it was all buttoned up we topped off this beautiful paint with one of our entry level C.Quartz Ceramic Coatings to help ensure that if this vehicle goes through anything , it will stay protected for 2 years! After 24hours of cure time, its ready for some sun shots! 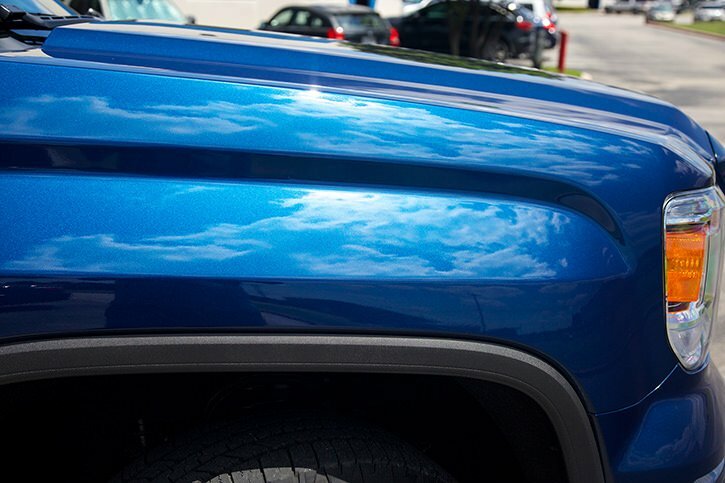 This color along with a lot of GMC colors look bland on an overcast day. But when the sun comes out that flake just POPS! 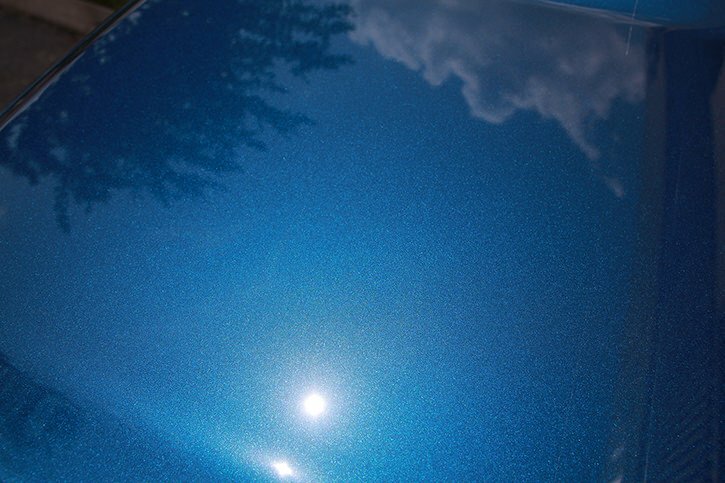 ^Look no swirls, no etching. 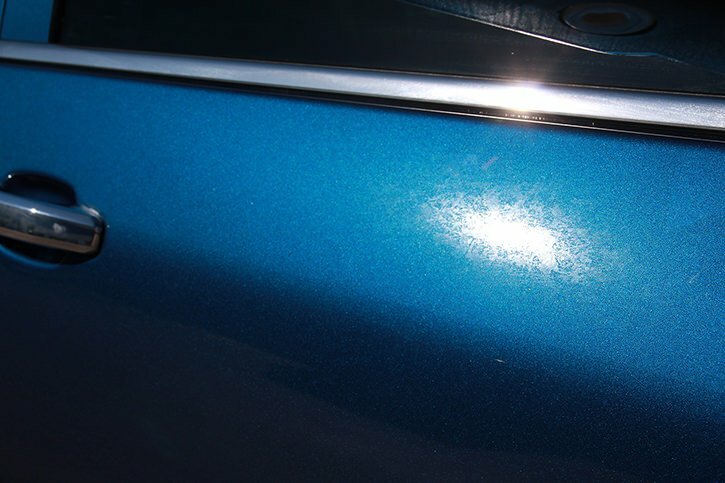 The depth, gloss & clarity are restored to an even better than new finish! 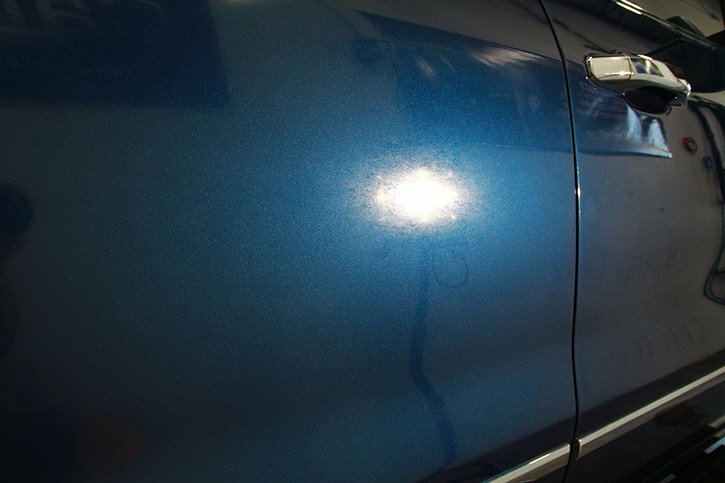 If you have a vehicle you are looking to get the JaysDetail treatment feel free to contact us. For a no-obligation consultation on any services or products we offer, please fill out the the contact form HERE and we will get back to you shortly.